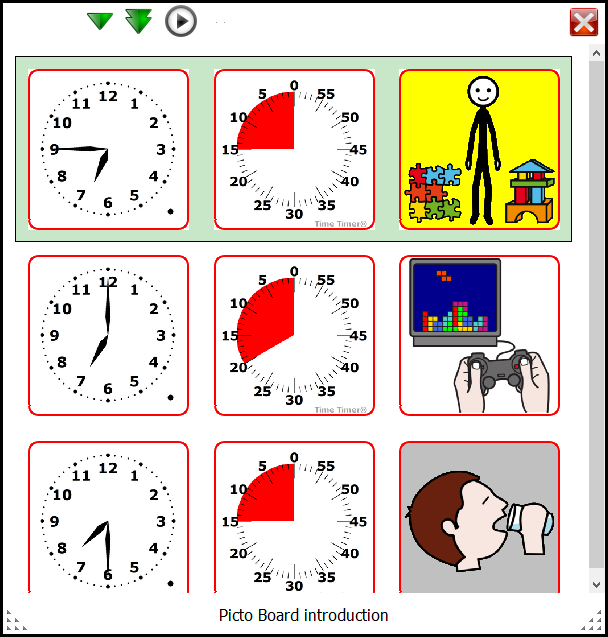 Picto Board are pictosheets on the screen or smart board. Teachers can use it to bring their pictosheets alive. They can show the current activity and use clocks and timers to continue with the next row or wait for a while. 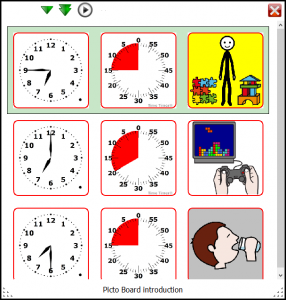 Wait for the minutes on your timer picto before continuing to the next row. 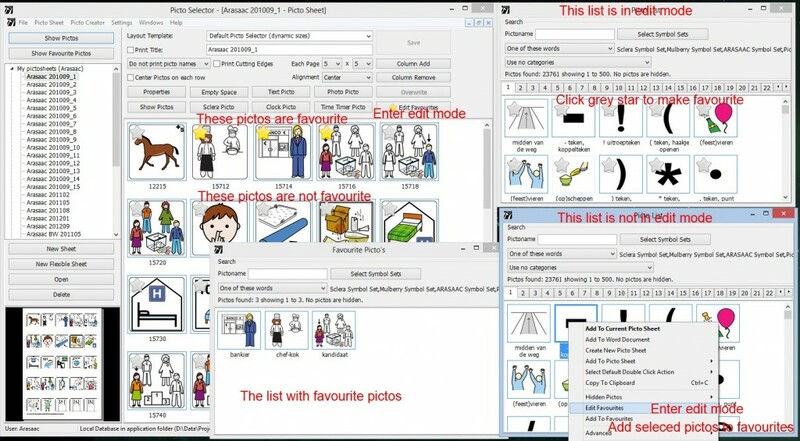 You can open the currently selected pictosheet in Picto Board with the Right Mouse Button menu. There are 4 up and down buttons to select a row. Other buttons are a play and pause button to start the countdown on the timer picto and continue to the next row when it’s time. You can create a list of your favourite pictos. Very simular to the picto creator are the flexible sheets. 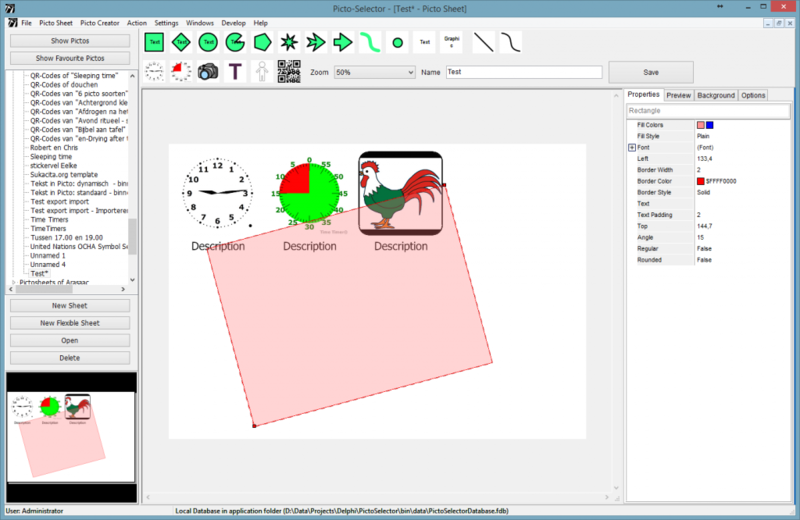 It uses the same editor and the result is not a picto but a pictosheet. For the uber super powerusers!! When you set a password for the administrator user, Picto-Selector will ask for passwords on login. There are also a few administrator only options that can be enabled for non administrators. You need to be Picto-Selector administrator to see this option. Layout templates can be added and custom layout templates can be edited or removed. It is also possible to export and import layout templates. The "Manage Layout Templates..." menu option is now located in the "Settings" menu. You need to be Picto-Selector administrator to see this option. 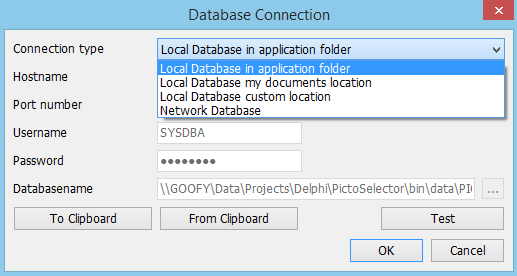 When you want to switch to another database (location) You will need this dialog to select the new database location, which can be a local file or a network server. You can install Picto-Selector on a network. You can run Picto-Selector with a local database and send all changes to a server, all changes on the server will be send to you. This means in the above example that a picto sheet created by a user on PC 1 will be stored in the first server. Laptop 1 will be synchronized with this database and store it locally. Later it will synchronize the sheet to another server and eventually PC 5 will get this sheet synchronized. 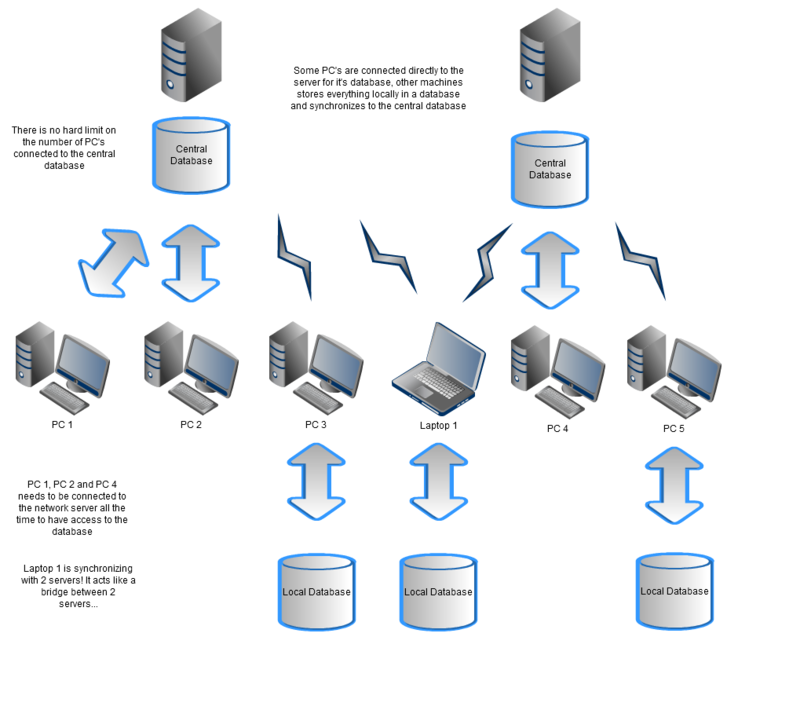 Synchronization is only possible with a network database and should be started by the administrator. The manual synchronization means that all pictosheets are compared between databases. Automatic means that all changes are recorded and only the changed sheets are updated with the latest change. After installation of a special Picto-Selector for translators you get an extra option in the File menu. Large organizations might want to change the way users are used in Picto-Selector or store the pictosheets in files instead of the database.